IEEE DataPort™ is now available for use! Go to ieee-dataport.org to be connected to this valuable one-stop shop data repository serving the growing technical community focused on Big Data! Download the IEEE DataPort™ 2017 Flyer here! 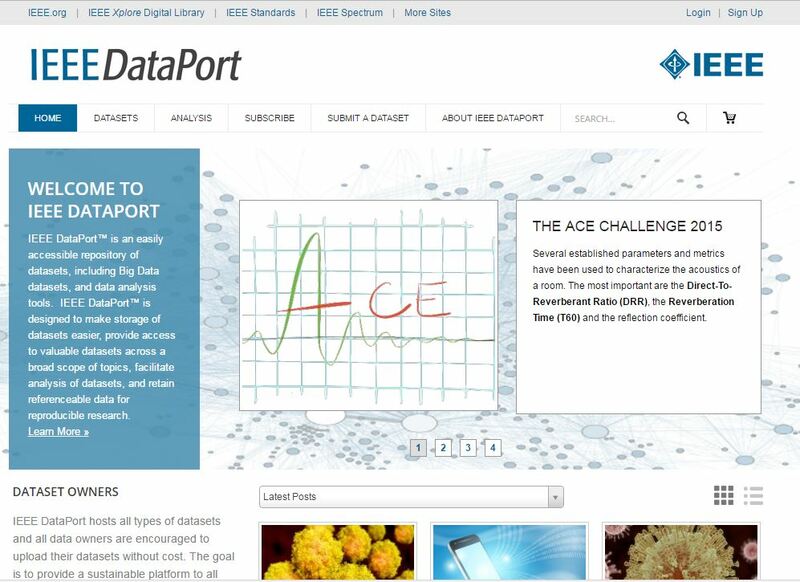 Share, Access and Analyze Big Data with IEEE DataPort™! IEEE realizes that data generation and data analytics are increasingly critical in many aspects of research and industry. Data retention is also extremely important and there is growing demand for Big Data datasets. IEEE has developed a Big Data repository called IEEE DataPort™ and it is currently available in its beta version free of charge. IEEE is uniquely positioned to provide a data repository to the global technical community and IEEE DataPort™ offers many advantages - can host datasets up to 2TB in size, DOI provided for each dataset and each data analysis submitted, integrated with AWS Cloud Services, can store related analysis and documents with the dataset, can support data competitions, and more. IEEE DataPort™ is designed to be a one-stop shop to serve the data analytics community! What Capabilities Does IEEE DataPort™ Provide? 4. Retain referenceable data for reproducible research. Go to ieee-dataport.org to load your first dataset today!